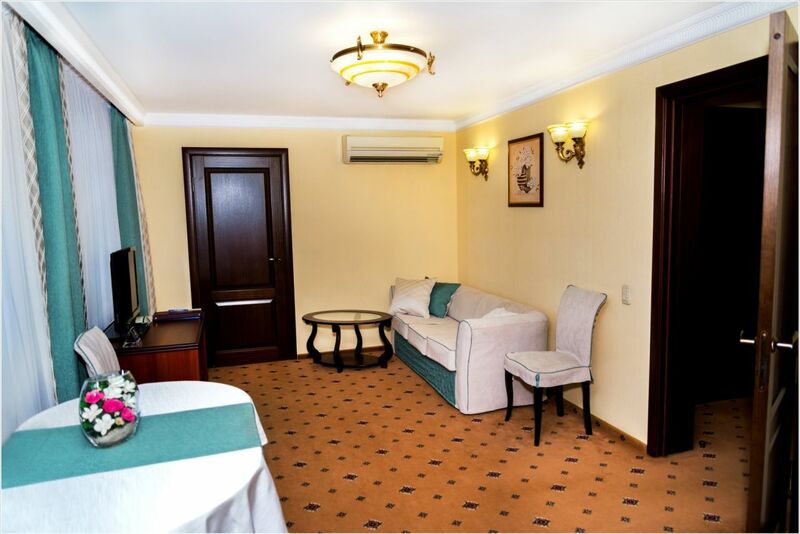 Room for newlyweds in the Vyatka Hotel - it's a wonderful gift for the newlyweds, the possibility to organize a wedding photo shoots and a great start of family life! 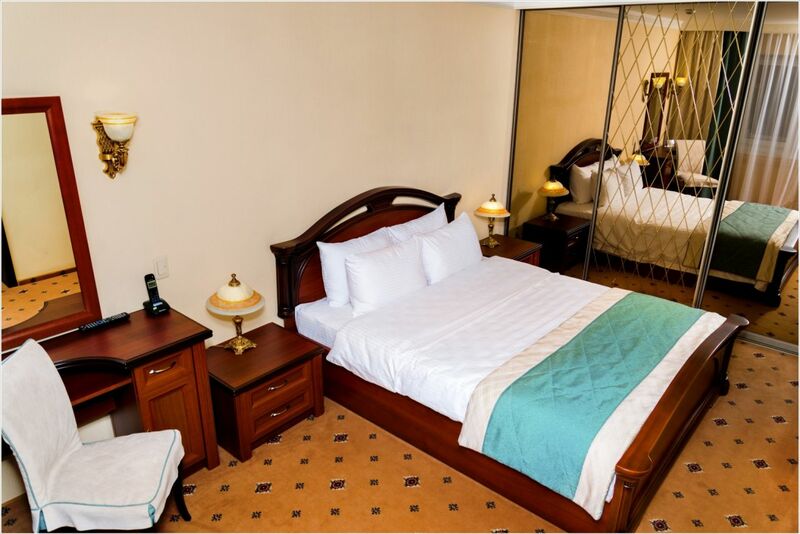 Available is gift certificates for the cost of the room. 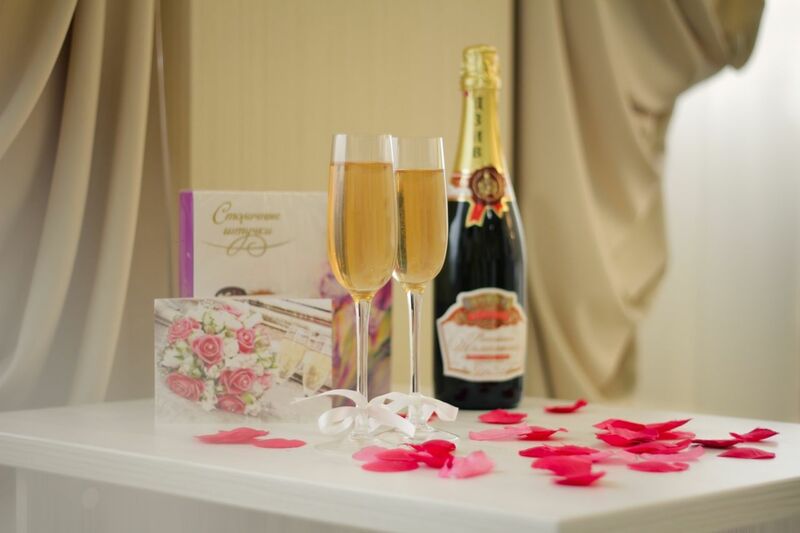 A gift certificate makes a wonderful gift for the newlyweds! All rooms are non-Smoking. Smoking in designated areas. 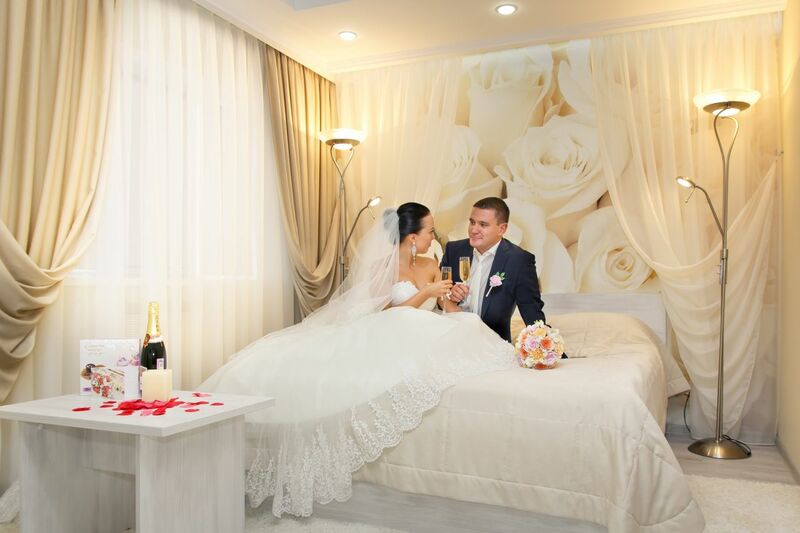 Romantic wedding suites of the Hotel Vyatka will take You in my arms and give you sweet memories of a bygone tenderness of the night! 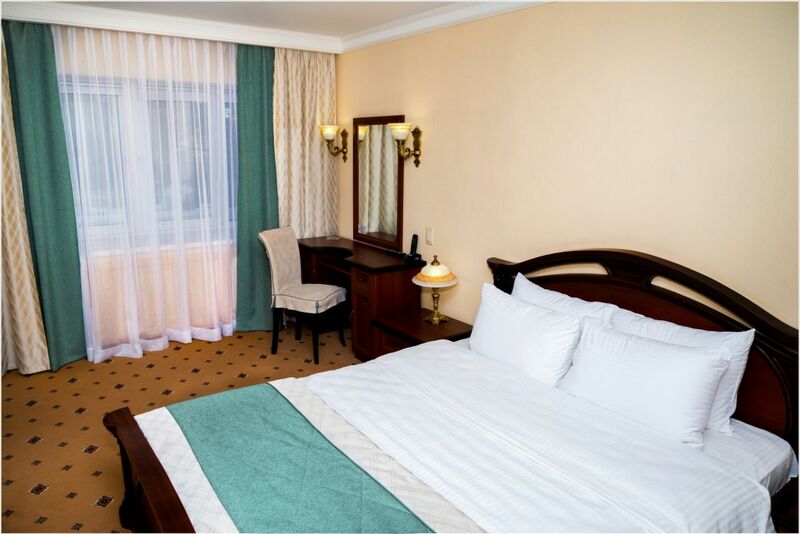 Accommodation service: +7 (8332) 54-45-03, fax: 54-64-10, 8-550-777-45-03 (in Russia for free). 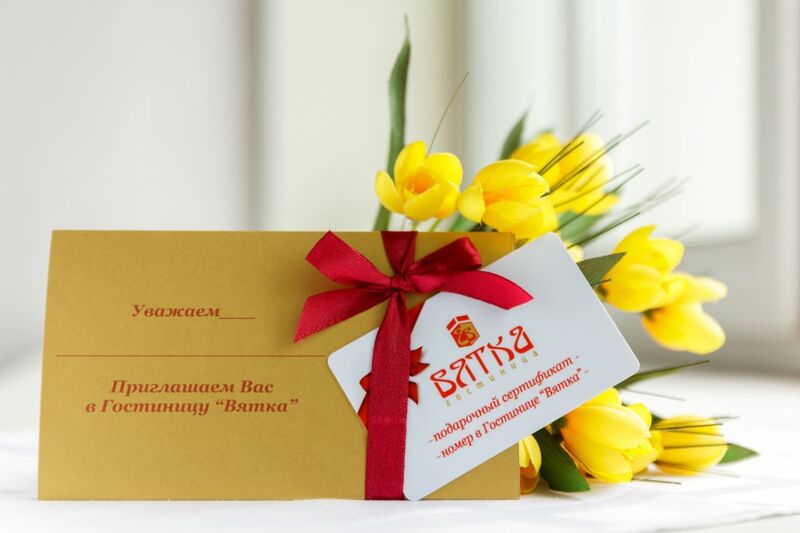 We invite you to organize a Banquet or buffet in the lobby bar and multifunction hall of the Hotel Vyatka on individual conditions. Capacity of the lobby bar - up to 25 people. 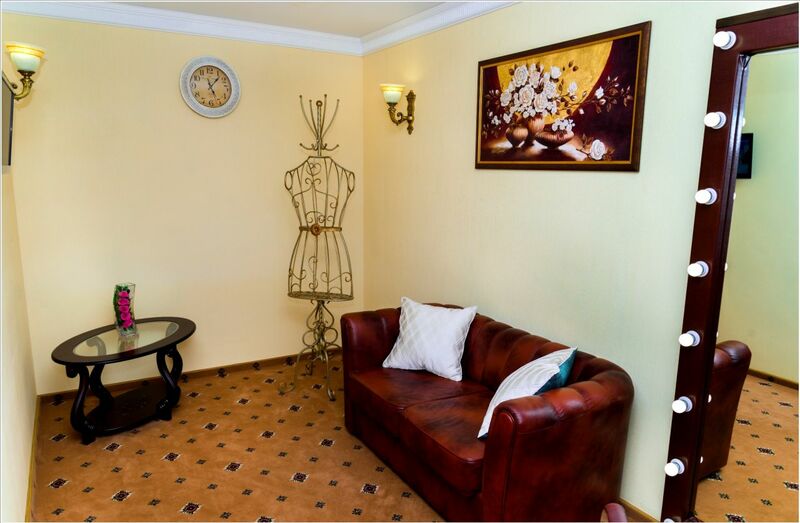 A multifunctional hall is ready to accommodate up to 40 people. 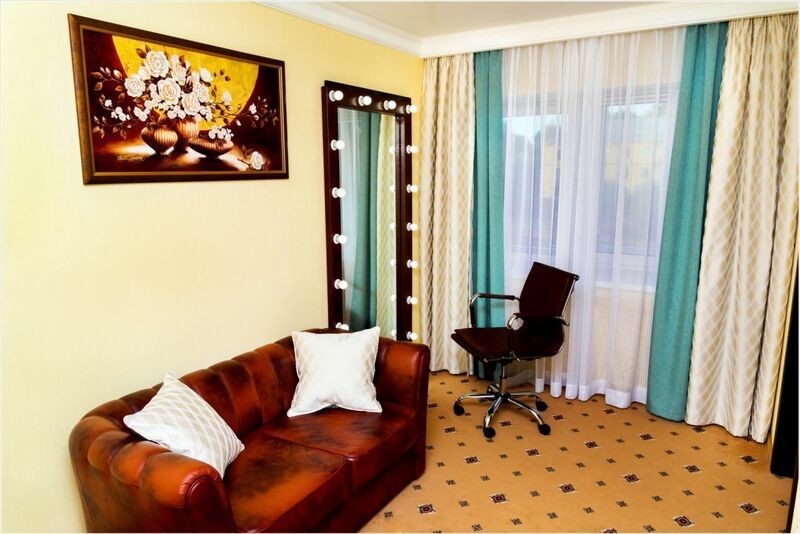 Price - from 900 rubles per person. Read more about the Banquet.